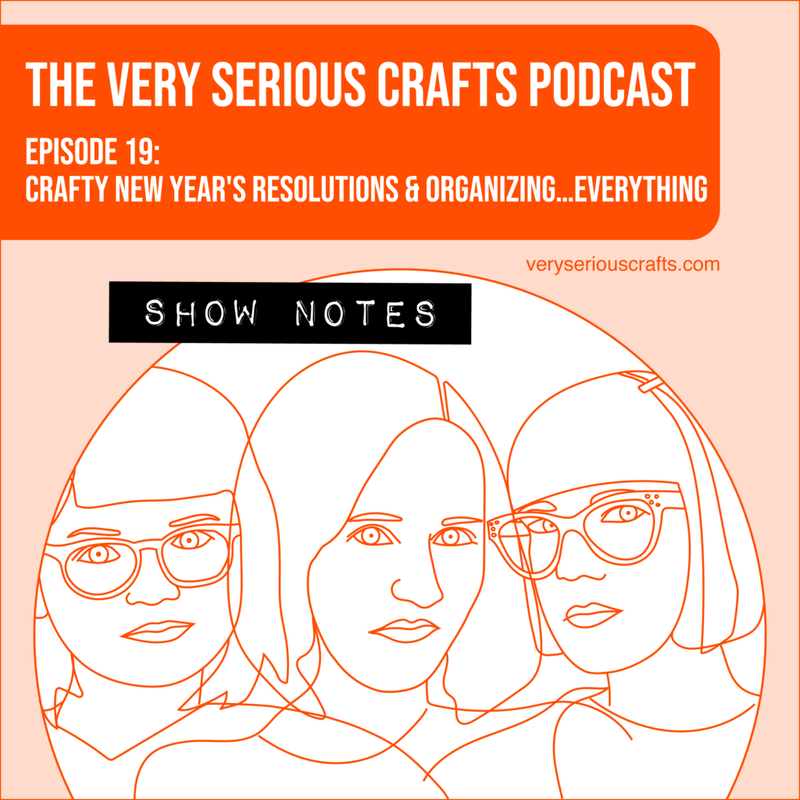 You're reading The Very Serious Crafts Podcast, Season 1: Episode 19 – Show Notes: Crafty New Year's Resolutions and Organizing…Everything! 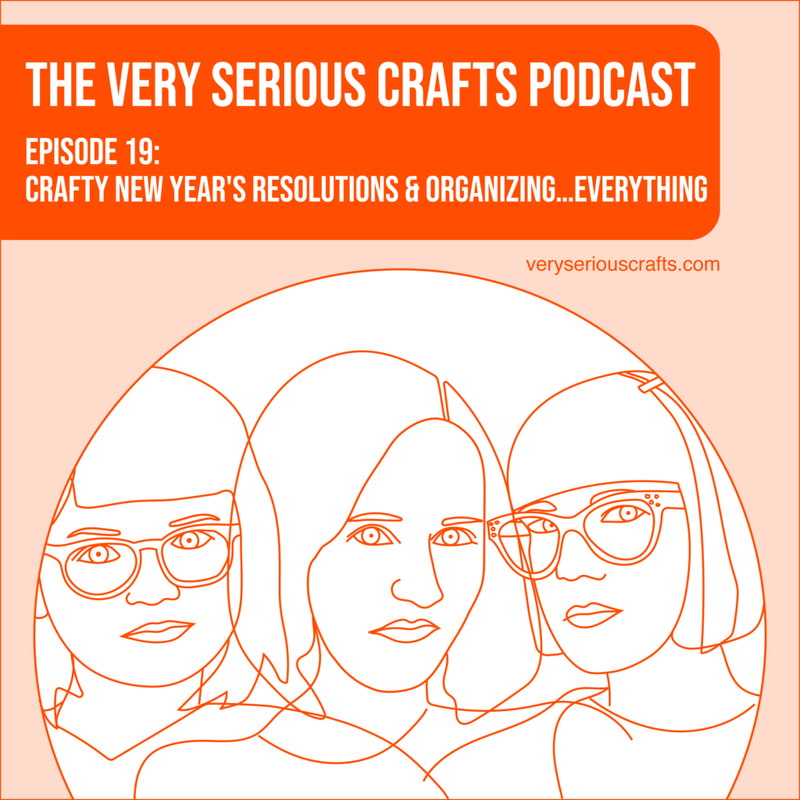 In Episode 19 of the Very Serious Crafts Podcast, Haley and Heidi try to get Mollie off the straight and narrow. You're reading The Very Serious Crafts Podcast, Season 1: Episode 18 – Show Notes: Overzealous Knitting Grandmas and Handcrafted Holiday Memories! 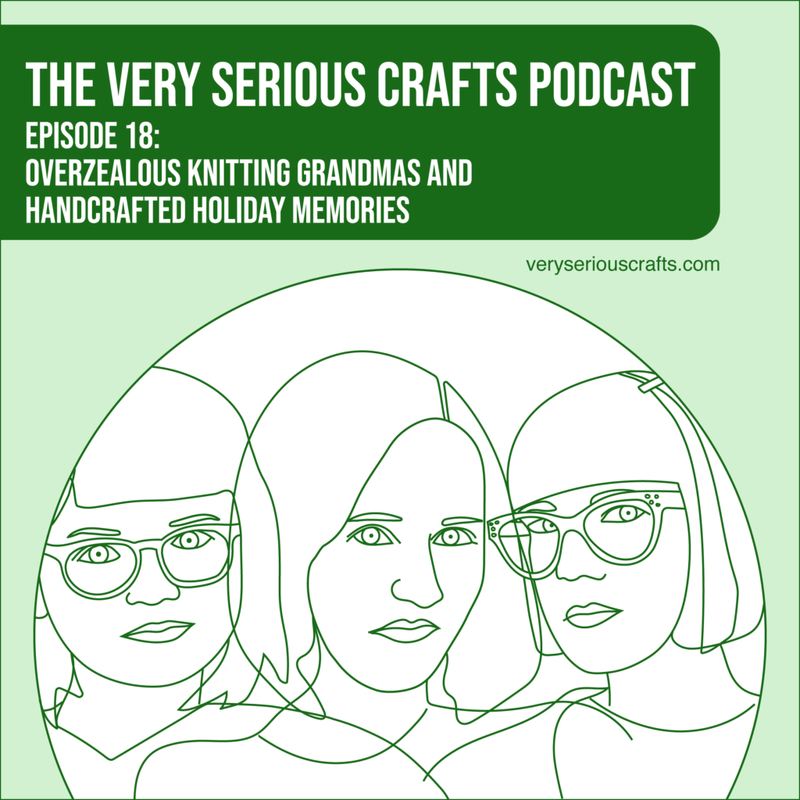 In Episode 18 of the Very Serious Crafts Podcast, hat mistakes are made, a pair of socks is started, and more than one grandma takes knitting a bit too far. You're reading The Very Serious Crafts Podcast, Season 1: Episode 17 – Show Notes: Project bags, Fancy Stockings, and Crafting Through Airport Security! 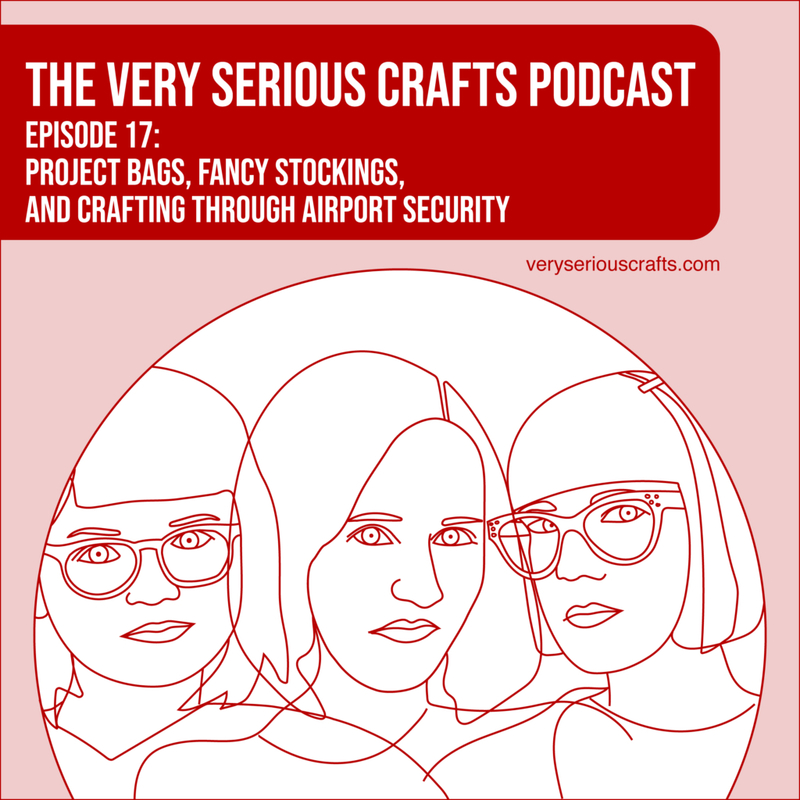 In Episode 17 of the Very Serious Crafts Podcast, Mollie breaks some needles, Haley solves a mystery with the TSA, and Heidi doesn't find moths! You're reading The Very Serious Crafts Podcast, Season 1: Episode 16 – Show Notes: Crafting for Fun and Creative Thank-Yous! In Episode 16 of the Very Serious Crafts Podcast, the gals gather around the crafty Thanksgiving table to talk gratitude and non-work projects! You're reading The Very Serious Crafts Podcast, Season 1: Episode 15 – Show Notes: Robot Irons, Craft Blogs, and Payin' the Bills! Enter your email address below to receive notifications about new episodes, show notes, and other news about the Very Serious Crafts podcast right in your email inbox! Copyright 2019 Haley Pierson-Cox, Mollie Johanson, Heidi Gustad. All rights reserved.